The third edition of the Collector’s Digest titled PreSense 130 was released at a function held in the evening of Saturday, 28th April 2018 at Chennai. Former Chief Election Commissioner of India Shri T S Krishna Murthy released the print edition of PreSense130. Dr P Ganesan, Mg. Director, Vinayaka-Sony Fireworks Group, Sivakasi received the first copy. 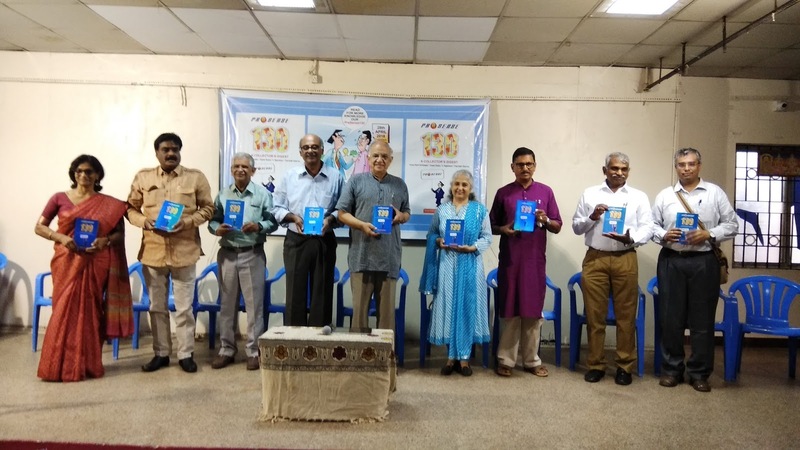 Shri R Bhagwan Singh, Executive Editor of Deccan Chronicle launched the online edition of the book. Dr Devanathan Yadav, Chairman of Win TV and Smt. Srimathy Sridhar, General Manager of Chennai Circle offered felicitations. Many eminent persons of the city and readers of the eMagazine PreSense were present. 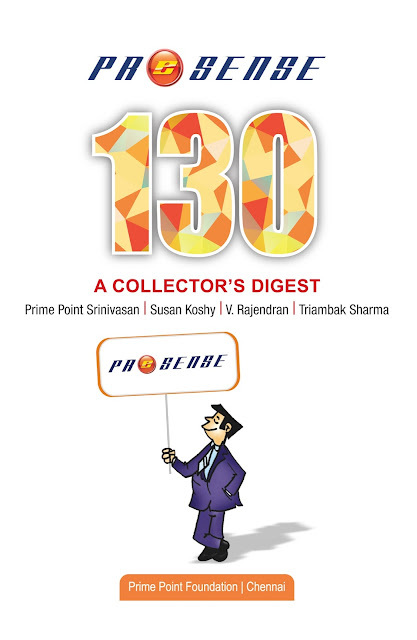 The Digest of select articles from the 130 issues of eMagazine PreSense titled PreSense130 was launched at Chennai on 28th April 2018. The Digest can be downloaded from these links free of cost. Download PreSense130 (5 MB) in pdf format.